CHICAGO— After a 2017 season which saw Purdue quarterbacks David Blough and Elijah Sindelar share playing time for the first seven games, the 2018 campaign will be a 50-50 battle in fall camp as to who will get the starting nod on Aug. 30 vs Northwestern. No matter the starter, the Northwestern game will be the start of a challenging schedule for Purdue, who will play 11 Power Five teams, including back-to-back weeks non-conference against Missouri (Sept. 15) and Boston College (Sept. 22). Both quarterbacks held their own in 2017 as Blough threw for 1,103 yards and nine touchdowns, while Sindelar got most of the reps and passed for 2,099 yards and 18 TD’s. Sindelar’s stats were aided by Blough’s season-ending broken ankle against Illinois and led the Purdue to three straight wins to close 2017, despite playing with a torn ACL for the last 3 ½ games. Boilermakers coach Jeff Brohm knows both quarterbacks bring different dynamics to the table, which will make the decision of who the starter will be a tough one. “David is very cerebral. He's an accurate passer. Played a lot of football games. He wants to win. He's a great teammate. I think all of our players respect him and know that if he's on the field we have a chance to win,” Brohm said. Going from three wins in 2016 to seven last season was a big step for Purdue football and expectations will be sky high in 2018 to move into the upper tier in the Big Ten West division. Sindelar believes the Boilermakers have a strong core of guys who will be able to answer expectations. The duo looks to live up to the lineage of past Purdue quarterbacks such as, Drew Brees, Bob Griese, Gary Danielson and Len Dawson and relishes the history. 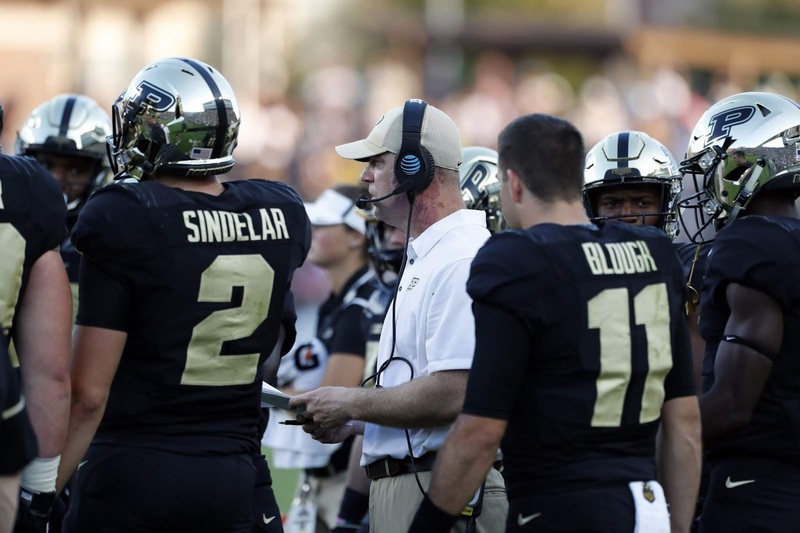 The play of Blough and/or Sindelar will likely play a pivotal part in whether or not Purdue can produce its best season since going 9-4 in 2003.